Sony planning a Nicholas Cage Spider-man Noir animated movie? 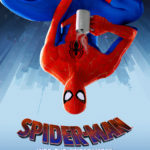 Spider-man: Into The Spider-verse sequel and spin-off coming! Also, WATCH a great new clip! Will we see these suits in the movie? 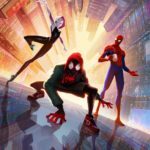 SDCC 2018: Three new Spideys confirmed for Spider-man: Into The Spider-verse… and one of them is voiced by Nicholas Cage!